Who is a personal hero or model for you? Students selected a personal hero to write a short bio poem following the specified structure. Why is it so hard for us to find heros? We begin the class by reading the bio poems. Most students struggled to find a hero to write about, so we discussed why it seems so hard to find them today? Students explained that most people who might seem like heroes today often have some scandal that follows. Our cultural heroes tend to be 'stars.' We as a culture also seem quick to criticize, are often ironic, and more likely to laugh at someone's pain. We are getting to a place where heroism seems unbelievable. When we think of heroes, we are more likely to think of fictional characters. 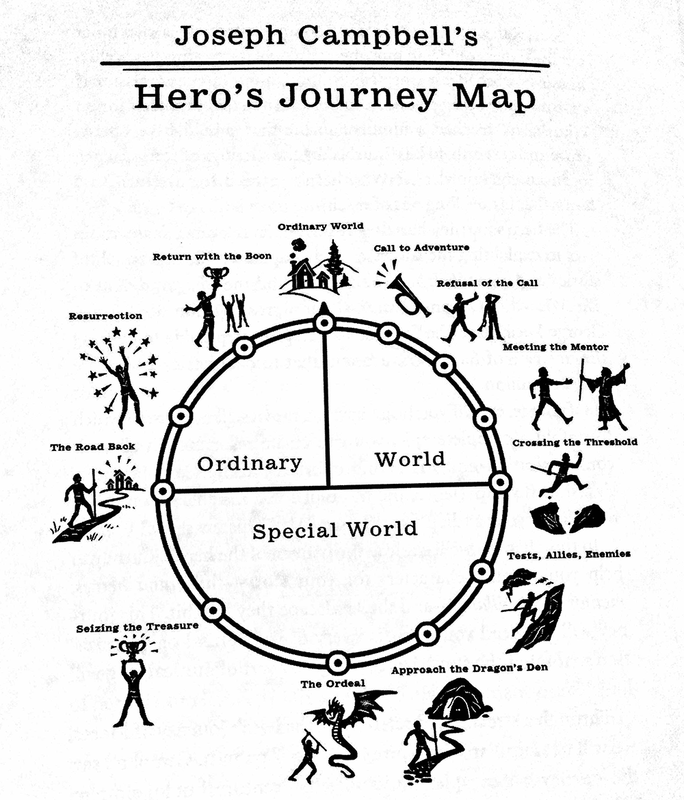 Joseph Campbell after researching myths from around the world mapped out what a typical storyline for a hero looks like. What we begin to see is that the hero story is one that we all live in much smaller ways when we are challenged in some way. Students consider place where they have moved from the "ordinary world" to a "special world." (e.g., When we move from middle school to high school, do a public presentation, go through puberty, etc.) When we rise to those occasions we come out with a new awareness about ourselves or the world around us. Students finally reflect on what lesson they have learned from some of those experiences, especially middle school. (e.g., stay away from toxic relationships). The opposite of a hero is not a villain, it's a bystander. After World War II, a lot of research went into understanding why people do evil things. Two of the most famous experiments were the Milgram experiment and the Zimbardo prison experiment. They began to show that as social creatures, we easily will follow people in authority or follow the crowd. Little research has been done into why some resisted and new studies are starting to examine this side. Students begin by brainstorming all the Pixar movies they can think of. Students then select one and identify the hero and his/her characteristics. Students identified these characteristics--never give up, determined, helpful, caring, kind, selfless, encouraging, brave. A hero is someone takes risks to help others. When prompted on the opposite of a hero, villain was quickly shouted out. Reflecting on the quote, "The opposite of a hero is not a villain, it's a bystander." prompts us to reconsider heroism in terms of "good guys" and "bad guys." The opposite is really someone who is cowardly, who doesn't take risks to help. We then read "Could you be a hero?" to better understand that heroism is a skill that can be learned with persistent small acts that stretch us out into risk-taking and caring. Why were the responses so different? Do you think the passersby were racist? Did they hold stereotypes? Implicit biases? Recently the officer who killed Philando Castille was acquitted and we consider the situation that Black Americans face. Michelle Alexander, author of The New Jim Crow, describes how the mass incarceration of Black and Latino men has become a new caste system, not class system. It is a closed system of social division and control. 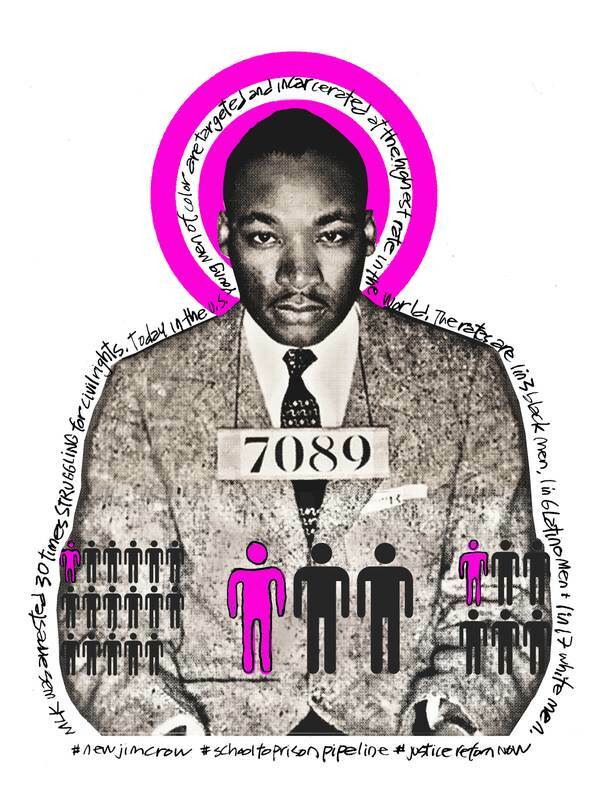 The impact of mass incarceration on the daily life of African-Americans and Latin@s has not been well-documented, but the Equal Justice Initiative is documenting the legacy of lynchings on modern Americans. What is the purpose of this audio story? What do you think DuVernay means when she says that “all sentences are not equal”? Describe the two audiences DuVernay made her documentary for. How does DuVernay present ideas and facts in her documentary? What is the effect of this approach? Explain why, according to DuVernay, people seem to be “leaning in” and listening more to the difficult topics of the day. What are your thoughts and feelings when you hear that 25% of the world’s incarcerated people are in the United States? Do you think it is important for American citizens to educate themselves about how the U.S. criminal justice system operates? Explain your answer. When the story of the African American experience it told, it typically ends with the civil rights movement. It is a story of a nation putting its negative, racial past behind it. If we follow that story forward into our contemporary context of mass incarceration a different story is developing. We are beginning to see the old pattern of a segregated and racially defined world continue. The past is not easily left behind and we, as a nation, have never had a moment of real dialogue around its past, like the Truth and Reconciliation Council of South Africa.